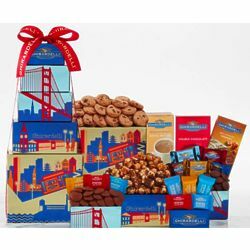 San Francisco might be famous for its hilly streets, the Golden Gate Bridge, and its beautiful bay, but the best thing about the city is its famous chocolate-maker, Ghirardelli! Indulge in the best of the best. Say Thank You with Chocolates from Ghirardelli!